PIEDMONT AVE GEM! "PARIS À OAKLAND"
We spent 3 weeks here and between the easy access to Piedmont Ave shops and roomy accommodations, it was a wonderful stay. We'll definitely be back. My sister, brother and I stayed for a week in this lovely apartment. The location (about a block away from main street) is perfect for walking to retail and restaurants. but have now added it to our list of favorite neighborhoods. Lupe has done his best in making this home comfortable and charming. Although the second bed is a fold down sofa in the living room, it was very comfortable with LOTS of extra linens. Loads of character and new amemities...loved the rain shower! Being on the second floor, there were some stairs but you get nice views and great cross ventilation. Also has heat/air if needed. We hope to be able to return again....thank you Lupe! This is my second time staying here and I will always stay here when I’m in Oakland. Lupe is a terrific host. Friendly and helpful. The apartment is absolutely beautiful. It is spacious, open and airy filled with beautiful art and furnishings. It has everything you will need. And, the location can’t be beat. It’s only a block off of Piedmont Avenue with all of it’s shops, cafés and restaurants. And best of all, it’s close to public transportation. When I stay here, I never rent a car. I only use public transit. I can be in downtown San Francisco in 20 minutes. Thanks Lupe for another great stay! Lupe’s apartment was the perfect place for our stay in Oakland. We enjoyed the apartment’s, lovely furnishings, amenities plus wonderful display of art. An added bonus was a designated parking place. Also close to Piedmont Ave where we enjoyed Peet’s Coffee, restaurants, grocery store and shops. This is my second stay at Lupe's apartment. I wrote a long review back in March of this year that pretty much said it all. At the risk of making it more difficult to stay here -- enthusiastic reviews will make it harder to find availabilities -- to heck with it! Love, love, love this apartment and staying just off Piedmont Avenue. Absolutely can't go wrong! Thanks again Jim. It’s always a pleasure hosting you.? Cheers ! We had a great time staying in Lupe's lovely apartment. The apartment feels sunny, clean, safe, comfortable, and has an incredible selection of original artwork. 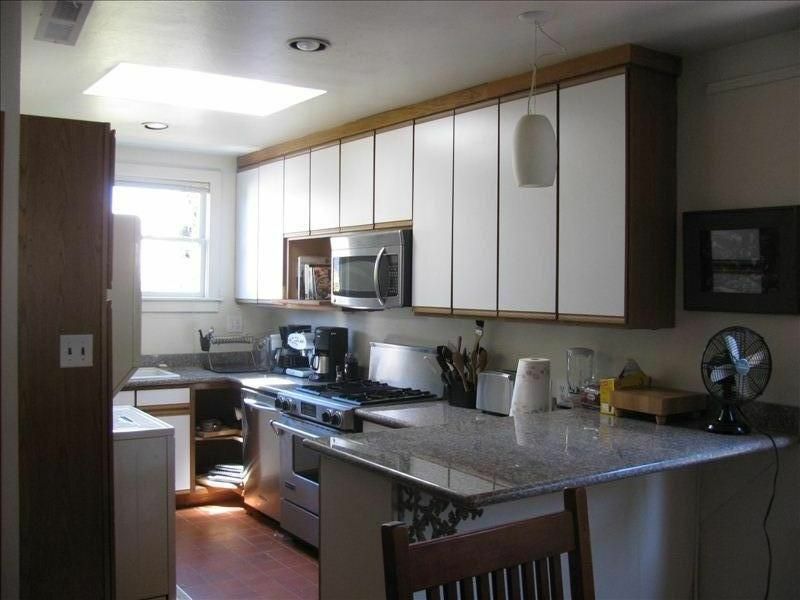 We had everything we needed, and the shops and groceries on Piedmont Ave are an easy short walk away. Lupe is a wonderful host - quick to respond to messages, immediately available to help when we had trouble with the WiFi, but wasn't a bother and gave us plenty of space. We hope we have the opportunity to stay here again someday - we would come back to Lupe's apartment in a second. Than for your kind words. I look forward to hosting you again anytime you are out this way. You were the perfect guests.